As anyone who works with words in English understands, the language is insanely rich based on its multi-language heritage. (Thank you, William the Conqueror.) Here's a sampling of words associated with this season of horror and fear. I am surprised at the even split between Germanic and Latinate words. Halloween (Germanic): An eighteenth-century shortening of the Scottish word Allhallow-even, meaning the Eve of All Saints, the last night in October. The verb hallow derives from the Old English word halgian, meaning to consecrate, ordain, or honor something as holy. Hallows derives from the Old English word haligra, denoting a saint or holy person. 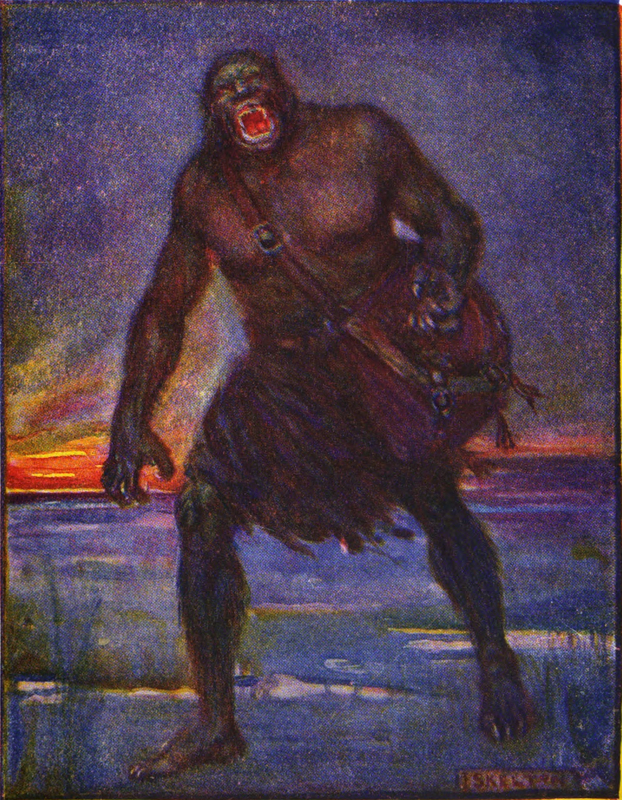 Grendel, by J. R. Skelton (1908). Horror (Latinate): From the Middle English horrour, which comes from the Old French horror (which in modern French is rendered horreur), which derives from the Latin horror, meaning dread, religious awe, or the action of bristling with fear, shuddering. The latter meaning to bristle, comes from horrēre. Terror (Latinate): A late fourteenth century borrowing from Old French terreur, from the Latin words terrorem, meaning dread, and terrere, meaning frighten. Monster (Latinate): In early fourteenth-century usage, monster referred to a malformed animal or human and derives from Old French monstre and mostre, meaning a monstrosity. The Old French words come from the Latin monstrum, which denotes a divine omen, portent, abnormal shape, monstrosity, or object of dread. The root for monstrum is monere, which means to warn. Abnormal animals were associated with evil omens. By the late fourteenth century, English speakers were applying monster to mythical animals. Calling inhumanly wicked people monsters dates from the 1550s. Coffin (Latinate): Originally meant a chest or box in which to store valuables and derives from the Old French cofin and the Latin cophinus, meaning a coffer, basket, or hamper. The Latin word can be traced to the Greek kophinos, meaning a basket. The English association with burial and corpses dates to the 1520s. Fiend (Germanic): Comes from the Old English feond, meaning enemy or foe, which derives from the Proto-Germanic *fijæjan, a word for enemy. Considering the spelling, feond was originally the opposite of freond, a word for friend. It took on its diabolical connotations when Old English speakers began using it for Satan, the enemy of all mankind. Foe captures the original meaning. Haunt (Germanic): Derives from Old French hanter, meaning to frequent or be familiar with. Hanter likely comes Old Norse heimta, meaning to bring home, which derives from Proto-Germanic *haimat-janan. The reference to a spirit haunting a place may have been present in the Proto-Germanic usage, but Shakespeare popularized the meaning in his plays. Fear (Germanic): Derives from Old English fær, meaning calamity or sudden danger, which comes from Proto-Germanic *feraz, meaning danger. The present meaning—an uneasiness attributed to potential danger—evolved in the late twelfth century. The Old English words for fear as we use it now are ege and fyrhto. 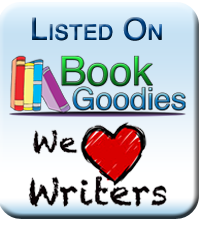 While you're contemplating etymologies, don't forget to enter my raffle for a chance to win the Coffin Hop anthology or my ghost story novelette Highway 24. Find more Hop destinations at the end of this post. Keep hoppin' and don't close the lid too tight. I've heard coffins can get a bit stuffy. 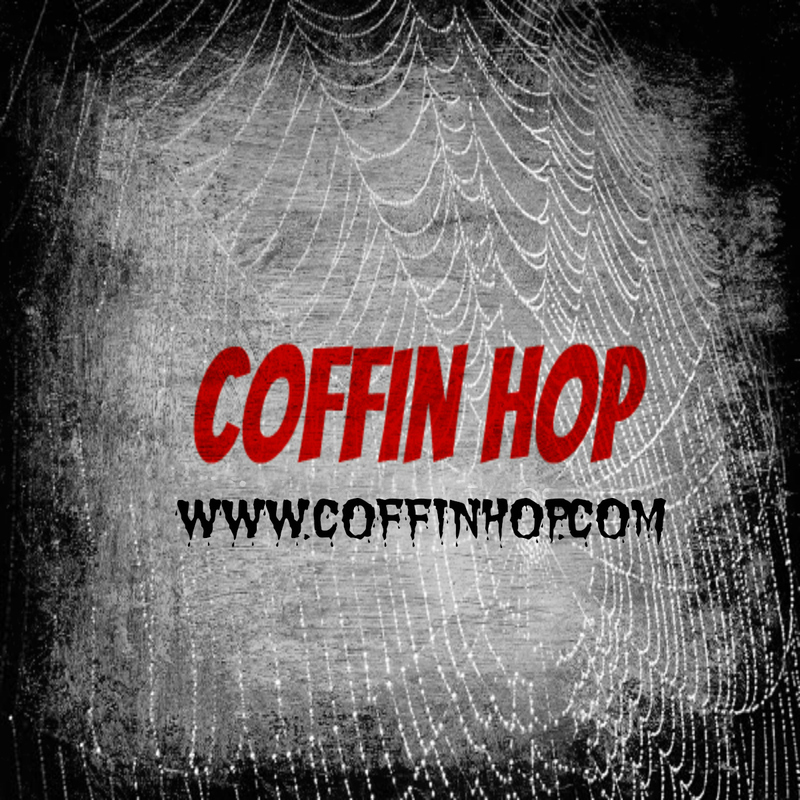 Visit the other Coffin Hop bloggers below for more Halloween fun. It's day five of Coffin Hop. This has been great fun. I'm amazed at the effort some of the other participants have put into their contests and posts. I need to start planning for next year. Now. I'm hoping to have a few more horror titles to give away by then. As the leaves change and the nights grow colder with the approach of Halloween, I'm always drawn to reread or listen to some favorite books and stories. 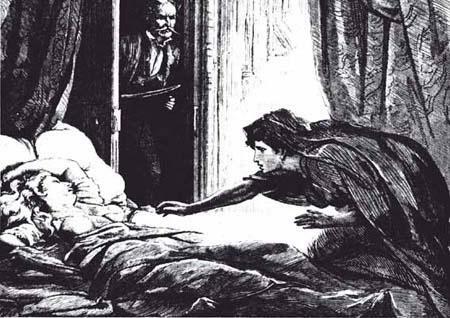 At the top of my list is Carmilla, Joseph Sheridan LeFanu's vampire novella. The story predates Bram Stoker's Dracula by nearly two decades. You can find my review of the story here. If you're a vampire fan and you haven't read Carmilla, well, you should. 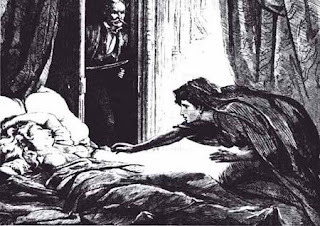 There's a fine recording of Carmilla at LibriVox or you can find the text in LeFanu's In a Glass Darkly. Next up is “The Rats in the Walls,” H. P. Lovecraft's tale of an ancient castle haunted by rats and a devastating family secret. Frederic Himebaugh gave an impassioned reading of the tale earlier this year on Protecting Project Pulp, show 47. And then there's Roger Zelazny's A Night in the Lonesome October. Set in late Victorian England, the story tells of a "game," a competition between openers and closers, concerning a gate between this world and the realm of the Great Old Ones. Snuff, the guard dog and familiar belonging to Jack the Ripper, tells the story, which has a chapter for every day in October. So how about you? Do you have any books or stories that you always read near Halloween? While you're thinking, don't forget to enter my raffle for a chance to win the Coffin Hop anthology or my ghost story novelette Highway 24. Find more Hop destinations at the end of this post. Keep hoppin' and don't close the lid too tight. I've heard coffins can get a bit stuffy. I'm of two minds today (and since it's late in October, I may mean that literally). 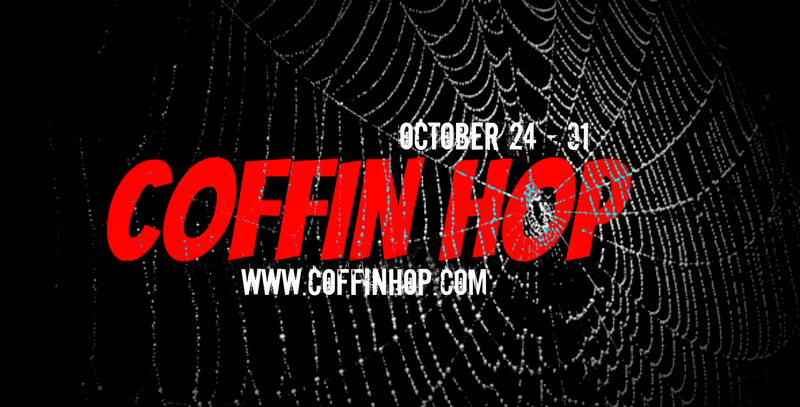 It's the last Friday of Creepy Freebies and day two of Coffin Hop. 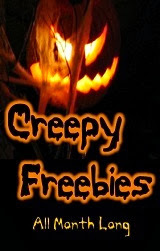 For Creepy Freebie fans and any one else, click over to Creepy Freebie Central to find free stuff and contests brought to you from James Garcia Jr., Bob Eccles, Michelle Ann King, and Aaron Polson. It's been a fun month and passed all too quickly. Can't wait to do the creepy freebie dance again next year. Two minds is a rather common theme in horror. 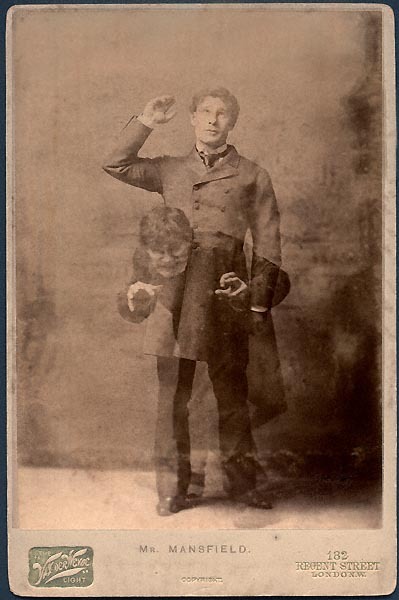 Consider the Strange Case of Dr Jekyll and Mr Hyde or the many variations on the werewolf or the serial killer who seems to slip back and forth between murder and normality. I think we find the movement back and forth the most unsettling, the most frightening. Is each of us capable of switching, of losing control. What's your favorite bit of horror about two minds? While you're pondering those thoughts, don't forget to enter my raffle for a chance to win the Coffin Hop anthology or my ghost story novelette. Find more Hop destinations at the end of this post. Keep hoppin' and don't close the lid too tight. Sometimes they stick. The quick answer is that we are a loose association of hundreds of horror authors and artists who get together for the week before Halloween, when we throw a colossal online party with prizes, giveaways and all the crazy you could want leading up to All Hallow’s Eve. Come back from October 24 – 31 to get in on the biggest, baddest, Halloweeniest online event of the year! My raffle, beginning today and extending through the end of October, includes a grand prize--a kindle copy of the anthology Coffin Hop: Death by Drive-In--and two second prizes--a kindle copy of my ghost story novelette Highway 24. 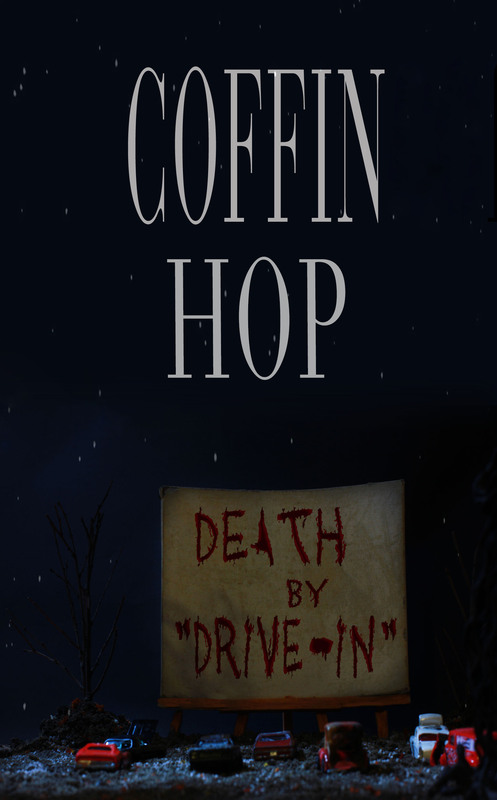 Coffin Hop: Death by Drive-In is a collection of some of the best and brightest of the Coffin Hop crew, with 21 amazing B-movie inspired stories from some of the best Indie authors around. Go HERE to read more about it. In Highway 24, a young travelling salesman encounters a ghost on a lonely country highway and comes face-to-face with a dark secret from his father’s past. This is also the last day to enter my raffle for a Kindle copy of the Midnight Diner 4: Wastelands Under the Sun--hard-boiled speculative fiction with a Christian slant. The Diner 4 features my story “Morphine and Chocolate”. Click HERE to enter. And, last but not least, if your taste slithers toward twisted nursery rhymes and tales of revenge gone horribly wrong, grab my short story “Sixpence and Rye and a Snake in a Pie: A Fractured Nursery Rhyme”. It's forever free on Amazon and everywhere else. Happy hopping and don't close the lid too tight. It's a Friday in October, which means more Creepy Freebie fun. My monster story “Soul Thief” is free on Smashwords today through the weekend with the coupon code FP28J. What happens when you abandon your family? Do they abandon you? Does a soul eater or a mythical monster come looking for you? James is about to find out. He's home alone, having once again turned down an invitation from his family to share in an evening out. He's about to come face to face with a horrifying thief of a distinctly supernatural kind. 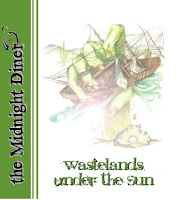 Also, enter my raffle below to win one of three copies of the Midnight Diner 4: Wastelands Under the Sun. The long-awaited fourth installment in the Midnight Diner anthology series continues the Diner's tradition of offering quality, hard-boiled speculative fiction with a Christian slant. No restrictions on God, no restrictions on reality. The Midnight Diner 4 contains my story “Morphine and Chocolate”. Need something to while away those chilly, lonesome nights in October? I've got the link for you. 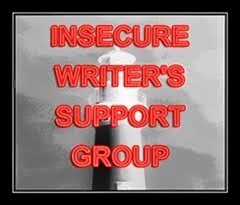 Check out Salome Strangelove's reading of Roger Zelazny's A Night In the Lonesome October. Here's a link to the introduction. The remaining 31 chapters (one for each day in October) follow as separate recordings. Strangelove's presentation and the story are quite addictive, so don't be surprised if you have trouble stopping once you start listening. A Night In the Lonesome October is Zelazny's last novel and is now sadly out of print. Set in late Victorian England, the story tells of a "game," a competition between openers and closers, concerning a gate between this world and the realm of the Great Old Ones. The story draws heavily on Lovecraft's mythos as well as characters from Victorian gothic fiction. 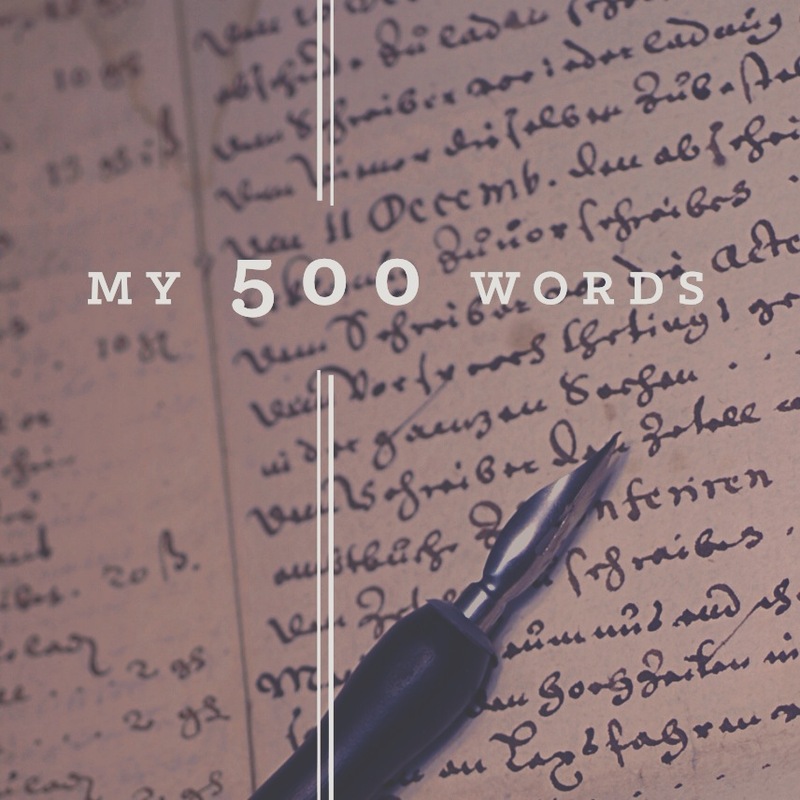 Jack the Ripper, Count Dracula, and Sherlock Holmes, among others, populate the tale. Each player in the game has a familiar. Snuff, the guard dog and familiar belonging to Jack the Ripper, tells the story. The title comes from a line in the first stanza of Edgar Allan Poe's "Ulalume." 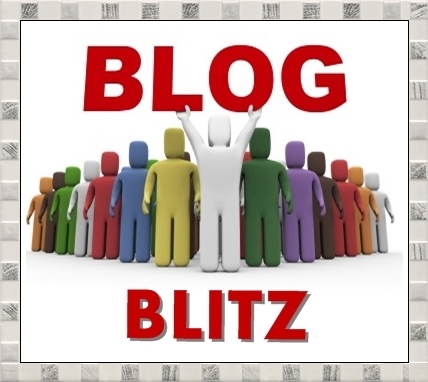 Check out what fellow bloggers Erin Cole, Stoney Setzer, and Rhonda Parrish have on offer. Creepy Freebie Central can be found at Milo Fowler's blog. And don't forget to enter my raffle. Three lucky winners will receive a Kindle version of the Midnight Diner 4: Wastelands Under the Sun, which features my story "Morphine and Chocolate" among others.